A fire in Hay River, N.W.T., displaced about 150 tenants of a highrise apartment building. Under the Residential Tenancies Act, the landlord is not required to rebuild the building or have property insurance. 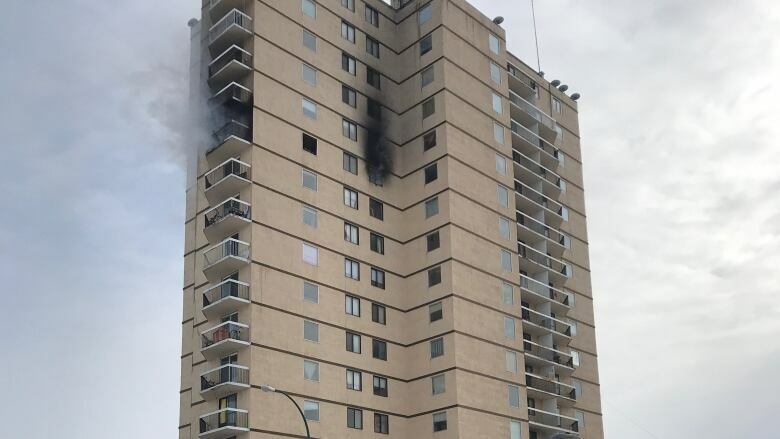 Some former residents of the Mackenzie Place, a highrise apartment building in Hay River that was damaged in a fire last month, are trying to understand why the owner didn't have insurance on the building. Tanya Nowdlak and her family were among about 150 people displaced by the fire on March 15. 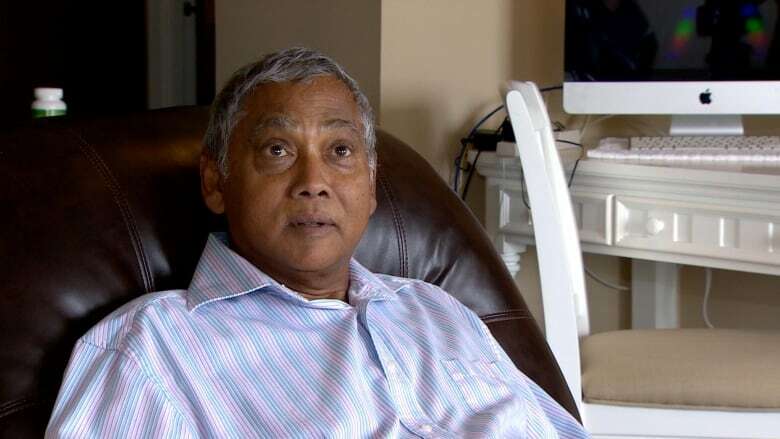 "The guy should have had insurance on his building, especially a building that size with that many apartments and that many people living in it," she said of Harry Satdeo, the building's owner. Hay River South MLA Wally Schumann said he had a phone call from Satdeo after the fire, in which Satdeo said the building was uninsured. "He told me straight up that he had no insurance on this building and he didn't have the resources to be able to deal with this situation," Schumann said last month. Lawyer Teri Lynn Bougie said, based on the current certificate of title for Satdeo's land, he still owes money on the property. If there is a mortgage, it's standard to require property insurance. It's possible that there was a line of credit, which didn't come with the usual terms, including insurance, though "that would be exceptionally rare," she said. It's also possible that when Satdeo said he didn't have insurance, he meant his insurer doesn't cover this kind of event. Satdeo did not respond to CBC's interview requests. Adelle Guigon, rental officer for the Northwest Territories, speaking generally and not about any particular cases, said a tenancy becomes "frustrated" when the apartment can no longer be lived in by the tenant during the lease. When that happens, the contract, regardless of how long it was supposed to last, has effectively ended between the parties, and the tenant no longer has to pay rent. So, if the tenant paid for the full month's rent but the contract becomes frustrated halfway through, the landlord has to return half a month's rent and the appropriate amount of the security deposit. Guigon said, as of Monday, there haven't been any disputes brought to the rental office related to the highrise fire. The Residential Tenancies Act does not require landlords have insurance on their property, she said. Bougie said, in the act, tenants are obligated to pay damage to units but landlords are not, so there's no obligation for a landlord to rebuild if there was, say, a significant fire. "It's a legislative gap," she said, also referring to the lack of mandatory property insurance. "I would strongly encourage the Legislature to look at that and say, 'What are we going to do to change that? How do we protect these consumers, particularly tenants in small communities that don't have other recourse?'" CBC was denied an interview with N.W.T. Minister of Justice Louis Sebert. Instead, government spokesperson Charlotte Digness said in an email that "there are no proposed changes to the legislation." John Dickie, president of the Canadian Federation of Apartment Associations, which represents landlords, said it's rare for building owners not to have insurance. "It is so rare that it's not sensible to make a requirement that insurance be in place," he said.